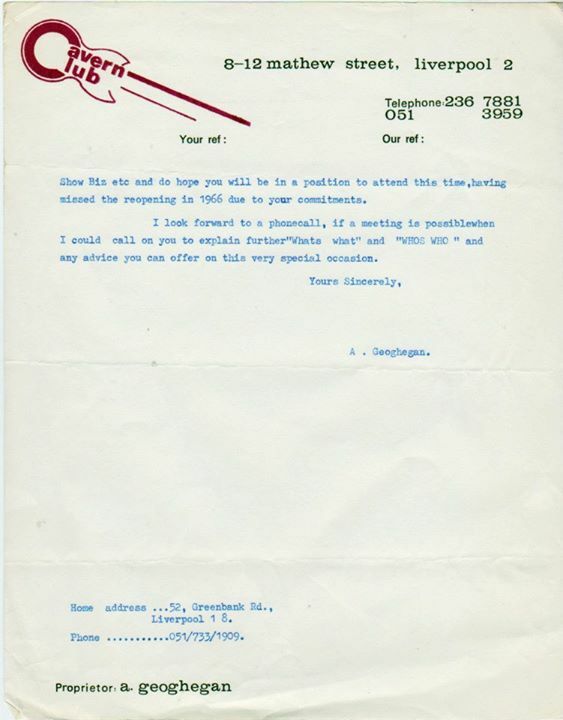 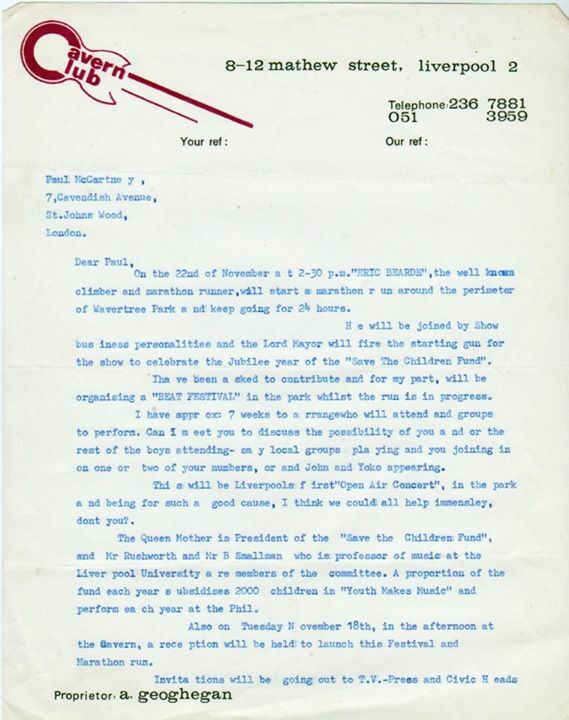 This is an original file copy of a letter sent to Paul McCartney from Alf Goeghegan, thee owner of the Cavern Club , in 1969. 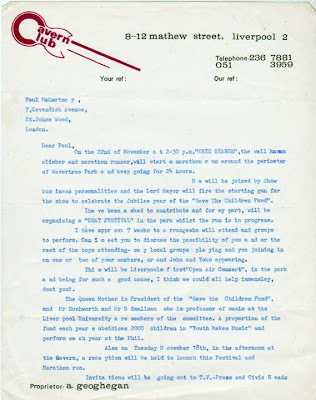 It contains details of the club's involvement in events for the Golden Jubilee year of the Save The Children Fund. 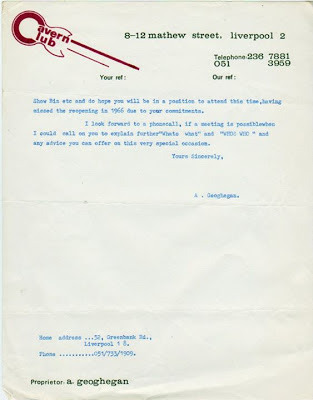 The letter is on Cavern Club headed paper and runs for two pages.